In January, I was asked to be apart of a new online competition series called The Cake Show hosted by Bake Magazine and The Baking Channel. 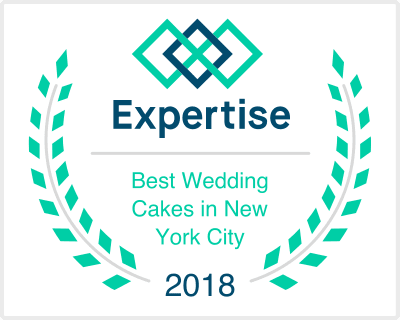 I’m featured on the NYC Cake Competition webisodes with 3 other cake pros – I’m honored to be categorized with them! I’ll be honest, I was nervous filming this since I only saw one previous episode from the Kansas edition. I didn’t know what to expect! But the nice guys from The Baking Channel made me feel comfortable talking about myself (which I literally hate) as well as what to say and where to say it. They set up their lighting and camera equipment and filmed for 8 long hours under hot lights. Now I know why TV studios are so cold – that equipment gets hot quick! Click on these links below to see the introductions and the Tiered cake segment. The next two segments will be released on the website over the month of April. Then the winner will be announced by Bake Magazine judges May 6.